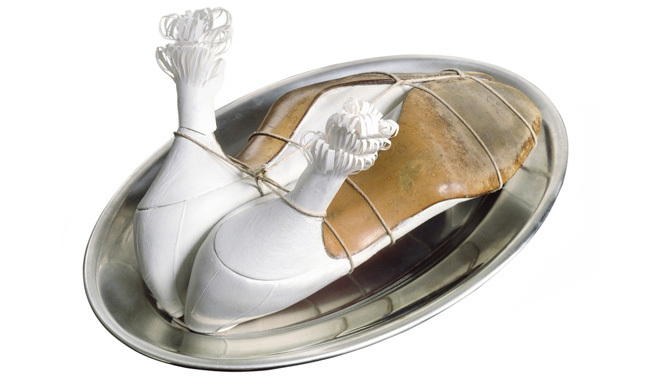 From October 2, 2011 – January 29, 2012 the Fondation Beyeler displayed a comprehensive exhibition Surrealism in Paris. On view were major works by artists such as Salvador Dalí, Joan Miró, Max Ernst, and many more who either belonged to the movement or were associated with it. The show focused on the innovative forms of expression developed and employed by the Surrealists – especially object art, collage, photography and film. 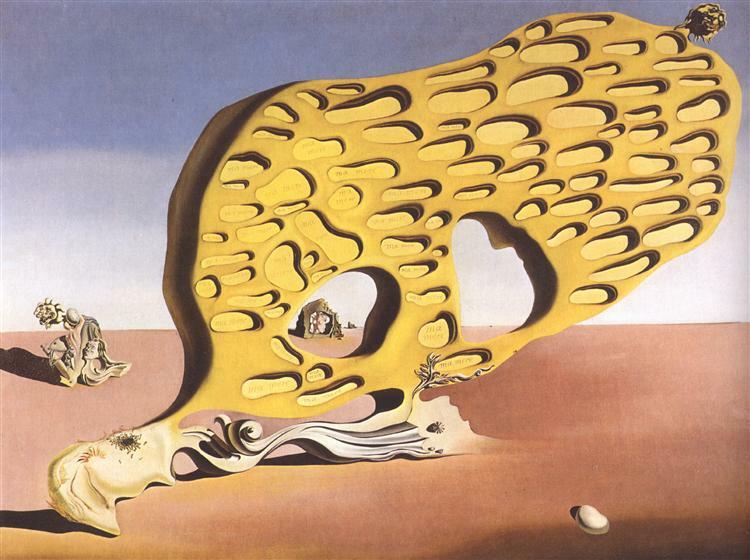 Surrealism was one of the most crucial artistic and literary movements of the twentieth century. After emerging in Paris in 1924, it unfolded a worldwide effect that continues to this day. Major modern artists belonged to the movement, were associated with it, or inspired by it. Its aim was radical change and expansion of the expressive means of art and poetry and their impact on society. Aspects of the psyche and creativity that had previously lay fallow were to be made fertile for artistic activity and human life as a whole. 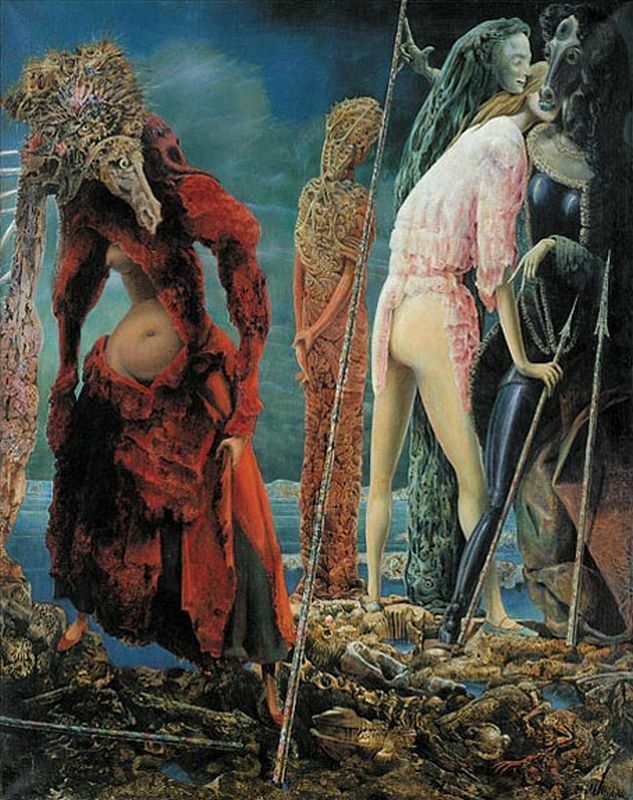 Profoundly shaken by the experience of the First World War and under the leadership of its chief theoretician, André Breton, the Surrealists developed innovative approaches and lent form to an art that tapped poetic imagination, the world of dreams, and the unconscious mind. Their idols included Sigmund Freud and many writers, such as the scandalous Marquis de Sade, the poets Charles Baudelaire, Comte de Lautréamont, and Arthur Rimbaud, Edgar Allan Poe, and the German Romantics. "Dalí, Magritte, Miró – Surrealism in Paris" comprised about 290 masterworks and manu-scripts by about 40 artists and authors. These included approximately 110 paintings, 30 objects and sculptures, 50 works on paper, 50 photographs, 30 manuscripts and original editions, 15 pieces of jewelry and four films. The exhibits were arranged in the exhibition spaces partly by artist, partly by theme. The introduction was provided by Giorgio de Chirico, a pioneering predecessor of Surrealism whose cityscapes and interiors of the 1910s can be considered decisive forerunners of the movement. On view as well were valuable manuscripts and editions of Surrealist texts, including manuscript versions of Breton's manifestos. Wavering Woman (The Slanting Woman), 1923, from the Kunstsammlung Nordrhein-Westfalen, Düsseldorf. – represent one of the most poetic evocations in all Surrealism. and Hans Bellmer's major object The Doll, 1935-36, from the Centre Georges Pompidou, Paris. Also brought together here were major drawings and paintings by Victor Brauner. and de Chirico's The Evil Genius of a King, 1914-15, now in the Museum of Modern Art, New York. which the Peggy Guggenheim Collection in Venice seldom permits to travel. These works constituted an ensemble within the exhibition in which the period of the Surrealists' New York exile during World War II is virtually distilled. The Artist's Studio (The Open Window), 1929. A concise selection of outstanding Surrealist photographs, including works by Man Ray, Raoul Ubac, Dora Maar, and Eli Lotar rounded off the picture. A screening room presents key works of Surrealist cinematic art, including ones by Luis Buñuel and Man Ray. and Dream Caused by the Flight of a Bee around a Pomegranate, one Second before Awakening, 1944, from the Museo Thyssen Bornemisza in Madrid. The exhibition linked up with previous Galerie Beyeler and Fondation Beyeler projects. Ernst Beyeler early on devoted various exhibitions to Surrealism in his Basel gallery, including the 1947 "Surréalisme et peinture" and the 1995-96 "Surrealismus: Traum des Jahrhunderts," as well as to individual representatives of the movement, bringing his unique eye for this art into play. Accordingly, the Beyeler Collection now boasts key works by such artists as Arp, Ernst, Miró and Picasso. The Fondation Beyeler can likewise look back on shows of Surrealist art, including "Calder, Miró", 2004, "Picasso surreal," 2005, "René Magritte: The Key to Dreams", 2005, and, with some Surrealist works, "Giacometti", 2009. 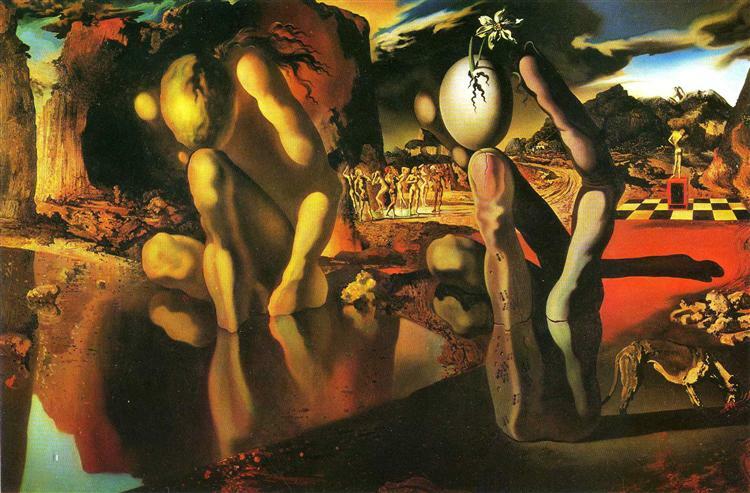 These were supplemented by thematic exhibitions in which Surrealist art prominently figured. This Surrealism exhibition provided a panoramic view of the movement as a whole. The exhibition was curated by Philippe Büttner, Fondation Beyeler Curator. In addition to private lenders, the most important institutional lenders are: The Peggy Guggenheim Collection, Venice (The Solomon R. Guggenheim Fondation, New York); the Centre Georges Pompidou; Musée national d’art moderne, Paris; das Musée d’Art moderne de la Ville de Paris; Tate, London; Bayerische Staatsgemäldesammlungen, Munich – Pinakothek der Moderne; Kunstsammlung Nordrhein-Westfalen, Düsseldorf; Museum Ludwig, Cologne; Staatliche Museen zu Berlin, Nationalgalerie; Museo Nacional Centro de Arte Reina Sofia, Madrid; Museo Thyssen-Bornemisza, Madrid; das Museu Coleccao Berardo, Lisbon; The Metropolitan Museum of Art, New York; The Menil Collection, Houston; The Museum of Modern Art, New York; the National Gallery of Art, Washington; the Philadelphia Museum of Art and the Kunstmuseum Basel and Kupferstichkabinett and the Kunsthaus Zürich and Alberto Giacometti-Stiftung. The catalogue, published by Beyeler Museum AG and edited by Philippe Büttner, provides an introduction to the movement, presented the works on exhibit, and gives special attention to the question of the presentation of Surrealist art – both by the Surrealists themselves and in private collections. It contains essays by Quentin Bajac, Philippe Büttner, Julia Drost, Annabelle Görgen, Ioana Jimborean, Robert Kopp, Ulf Küster, Guido Magnaguagno, Philip Rylands, Marlen Schneider, Jonas Storsve und Oliver Wick, and a chronology of Surrealism by Valentina Locatelli. The lavishly illustrated exhibition catalogue was published in a German and English edition by Hatje Cantz Verlag, Ostfildern, 289 pages and 304 full-color illustrations. A second exhibition venue was at the Musées royaux des Beaux-Arts de Belgique in Brussels (March to July 2012).